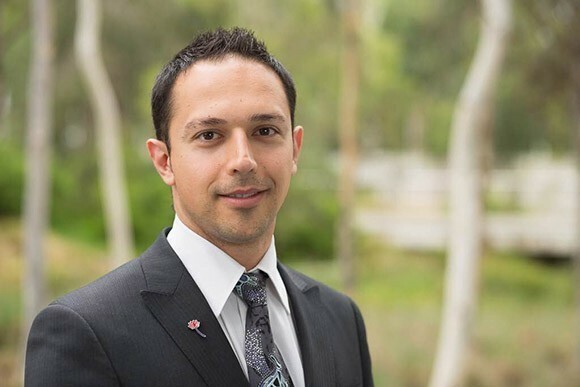 Arman Abrahimzadeh is the co-founder of the Zahra Foundation Australia, a White Ribbon Ambassador and a passionate advocate against domestic violence. He is this week’s Changemaker. Domestic violence was a normal part of childhood for Abrahimzadeh and his two sisters, Atena and Anita. In 2009 they fled their family home with their mother Zahra. But in March 2010 their father, Ziaollah, murdered their mother in front of 300 people at an event at the Adelaide Convention Centre. It was their mother’s 44th birthday. Abrahimzadeh and his sister, who moved to South Australia from Iran with their parents in 1997, were left to parent their 11-year-old sister and continue their mother’s battles in court. Abrahimzadeh, who was named Young South Australian of the Year, vowed never to follow his father’s footsteps into a cycle of abuse and has instead turned his family’s tragedy into a way to help others. He works with various organisations to support victims and raise awareness. In 2015, he and his sisters worked with the Central Domestic Violence Service to establish the Zahra Foundation Australia to support women and their children to live a life free of violence and attain economic independence. In this week’s Changemaker he talks about why economic empowerment is so important, the need for role models and how his mother’s memory keeps him motivated. Why did you decided to start the Zahra Foundation Australia? There are actually two reasons for it. One is the research that was being done in this space. We were finding out that a lot of the women who aren’t leaving these abusive homes, aren’t leaving because of financial stability and I guess financial dependency on their partners. So that was one reason. The other reason for it, was we looked at our situation when we fled our family home… when we left our family home, I was a final year university student, my older sister was a final year uni student and my youngest sister was 11 years old. My mum did not have any employment, nor any friends or any family in this country and we found ourselves facing three major issues, one was poverty, one was homelessness, because we just had the car, we didn’t have a place to spend the night, or didn’t really have, as I said, no family or friends to really go to, and we found ourselves quite isolated. The community didn’t really want to have anything to do with us, we found that I guess because we were sort of seen as the domestic violence victims, the support and assistance was limited. So I guess when we looked at those factors and when we saw this was one of the major factors in breaking the cycle of violence, that was why we went down the path and made financial literacy and economic empowerment the core objective of the foundation. Do you think your personal experience of domestic violence has better positioned you to help others? Well I guess I’ll have a better understanding, so with me and my sisters, and anyone who has experienced it, if they have been in someone’s shoes, they will appreciate what they’re going through, and they’ll really understand what they are talking about. Because, put it this way, if someone comes to me and starts talking about a brain tumour and the effects of it, sure I’ll be able to sit down and understand to a degree but I’m not going to get the full appreciation of it because I haven’t been through exactly the same thing, so that appreciation and that understanding and also the response, is going to be limited. And so I guess that is one of the factors that makes our organisation so reputable is that we are behind the foundation, as I said, one of the major reasons why we set it up was to help the women and children whose situations we were in when we fled our family home. And I guess the other factor that makes our organisation so reputable is because of our strong connection within the South Australian Domestic Violence Service. What needs to change to protect people like your mother? When it comes to domestic violence, and I guess my understanding of the sector and of the issue it is this; we are fighting it on two fronts. We’re dealing with victims at the crisis end, so those who are coming out of abusive homes and I guess those at the crisis end. So that is one of the fronts we are fighting this issue. The other front, is the prevention space that we are working in, so I guess organisations like Our Watch, organisations like White Ribbon Australia, those sorts of organisations, they do good work in the information space, I am an ambassador for both of those organisations, but they are involved in a lot of research… and they are involved in a lot of different campaigns that I guess promote the prevention and elimination of violence against women and children. That’s I guess, I know, it’s not really answering your question but when you sort of look at the issue, it is such a broad issue you can’t really sit there and say well, if we throw more money at it, then it’s going to fix it, because that’s not the case. Or if you say well if we have more resources, then we’re going to help it, because that’s still not the case, sure if you throw more money and resources you might be able to help people at the crisis end, those who are coming out of abusive homes, but are you going to do anything right up front in order to prevent the issue from happening in the first place? So I guess if I was to answer that question, I would say you really have to look at both of those measures, the forms of assistance at the crisis end and also the forms of assistance and organisations doing the work in the prevention space as well. As you mentioned, you are a White Ribbon Ambassador and a passionate advocate against domestic violence, in that role you often speak in schools, how important is it to raise awareness with the younger generations. Extremely important because, as I said, at the moment when we look at this issue we are seeing more and more victims going to the domestic violence services and the shelters, so I guess in order to reduce those numbers we really need to stop this sort of abuse from happening in the first place. So to do the work in schools and also sporting clubs too, and the reason why I say sporting clubs is because some of those guys look up to certain AFL or NRL stars as their role models, so if we go in and talk to them about domestic relationships, if we talk about gender equality, because that really is the underlying cause of domestic violence, so if you talk to these kids about it, and they search around and see that one of their AFL stars has been accused of some form of violence or abuse, then they will at least be educated enough, they’ll be trained to acknowledge that and understand it, and I guess you know, they won’t look at it and say well, my role model did it, so that means it is ok for me to do it, because unfortunately, that’s happened from time to time. I guess you know what, that is exactly the same principal when you look at family, you might have a young boy who is looking up to his dad, looking up to his older brother, uncle or someone older as a role model, and I guess I did exactly the same thing, I looked at my dad and unintentionally you pick up certain traits, you pick up certain things, and for me it was, in my head, for a long time it was ok to resolve a conflict by violence, I unintentionally picked it up and so that is exactly the same thing, when you’re a role model for someone, what you do and what you say is copied. So we have to be very careful of what we say and what we do in front of the younger generation because unintentionally and naturally they pick it up and they mimic it. You have vowed to never follow your father’s footsteps, do you consider yourself a role model for young Australians wanting to make a difference? I like to think so I guess. I get this question thrown at me all the time, where they say, actually it’s not really a question but I get a form of justification thrown at me, where they say “hey I grew up in a violent and abusive home myself, so violence is the only way that I know”, I mean, sure I understand it but I don’t accept it. Because I say this, I say well, there are lots of people like me who have grown up in abusive homes, and they have actually learnt that violence is the answer and is the way to go about things, but then does that give me a reason or an excuse to go out and do what my father did? Does that give me a reason to act as he did? You know, I was raised and disciplined by a murderer, does that give me the right to go and do exactly what my dad did? Well no. Like I said it is a reason and it is an excuse, as much as I understand it, I don’t accept it. You were a National Finalist Young Australian of the Year 2016 and Young South Australian of the Year, how does it feel to be recognised for the work you are doing? I am honoured. I was quite speechless when the announcement was made. But I’ve said this publicly, I have been advocating for the past four years or so and there are many organisations out there who have been doing great work for 20, 30, 40 years and so what I have done, I have actually dedicated my award to these organisations, and throughout the year I’ve picked 12 organisations and once a month I go out to the organisation and I actually give them the trophy to hold on to for the month because as I said, I have only been around for four years, that’s not long enough to really do anything. So I am humbled by the recognition but there are many other organisations who have been around and have been doing great work for a lot longer than I, and so I really wanted to acknowledge their work and give them some credit, because if it wasn’t for certain organisations, just like the shelter who helped us out, god knows where we would be today. What challenges are facing your organisation? 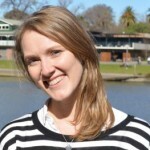 Kylie O’Callaghan, [fundraising and marketing manager for the Central Domestic Violence Service, which administers the work of the foundation] will probably be able to tell you a little bit more about that. But I guess here’s one challenge, domestic violence is not a… savoury topic, it is not attractive, and it shouldn’t be, and it’s not, but it’s not an easy space to be in when you are a Not for Profit trying to raise funds. Because as you can imagine, if it was related to anything else where people may find it more attractive in terms of donating, then I guess that makes it an easier solution, but for us, I personally have found, that fundraisers, when I’ve had to explain what domestic violence is all about, and what the foundation does, I just find it is not an easy topic to first of all talk about, it is confronting, but also it is not an easy Not for Profit to sort of fill so that’s been one of my challenges. Memories. Memories of my mum, memories of us as a family, you know the morals and ethics that my mum taught us, you know, I’ve got photos all throughout the house and I guess, not to get into too much detail, it was something that should have never happened, this murder could have been prevented but now that it has, I am trying to reflect what my mum would have stood for and what she wanted. And so she was a typical mum, she was kind, she would care and she was always so nurturing. So I guess everything she taught my sisters and I, we hold onto and we try to show that to the people, this is who my mum was, this is what she was all about and we try to put that into the foundation and I guess that’s what keeps us motivated. Do you see yourself working in the Not for Profit sector as a career? I actually don’t work in the sector, everything I do in the sector I do on a voluntary basis anyway, so my involvement with the foundation is voluntary, the work that I do with Our Watch and White Ribbon is voluntary, I am a board member for a couple of Not for Profit organisations who do work in the domestic violence sector and that again, they’re Not for Profits, that’s voluntary. I don’t do actual work in the sector. My industry is design and construction, that’s what I do for a living. So I’m not sure if I’m going to stay in design and construction for a while and I may make the switch to the Not for Profit sector but I’ll see where I end up.